Tired of the same old vinaigrette? This bold and tangy dressing will get your attention. Smoky fire roasted tomatoes are highlighted with bright balsamic vinegar and smooth roasted garlic. A touch of basil balances out the flavors. 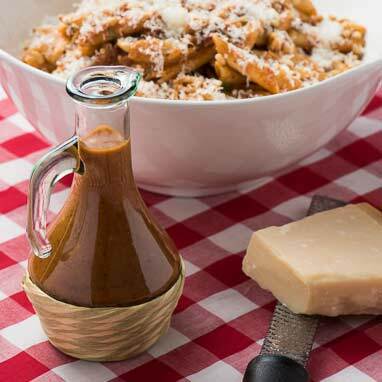 Serve this vinaigrette over a traditional greens salad, drizzle it over fresh mozzarella, or use it to dress an interesting pasta salad for your next back yard BBQ.